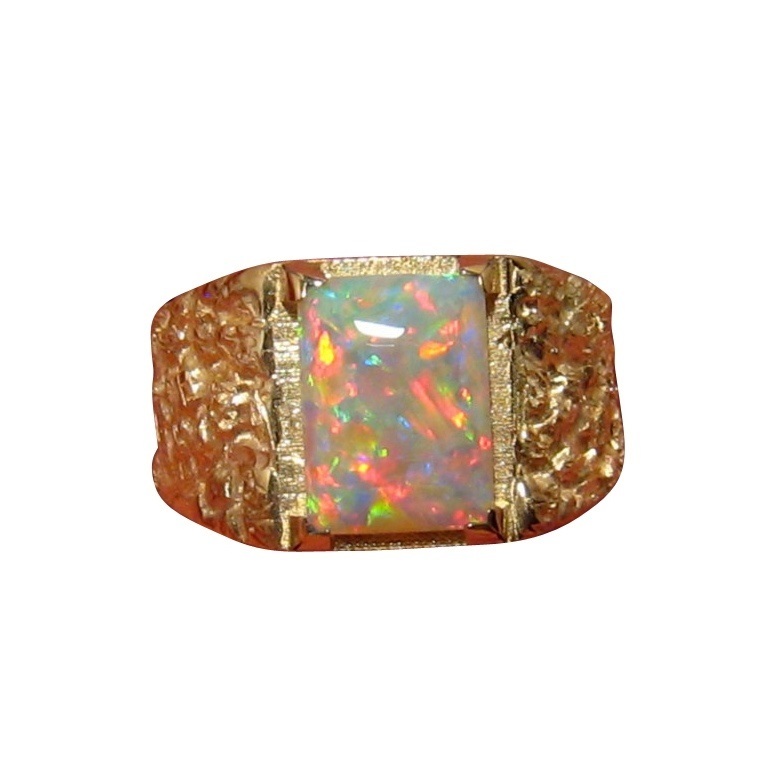 An Opal Ring for men in a nugget style with a rectangle cut Crystal Opal in 14k Gold. 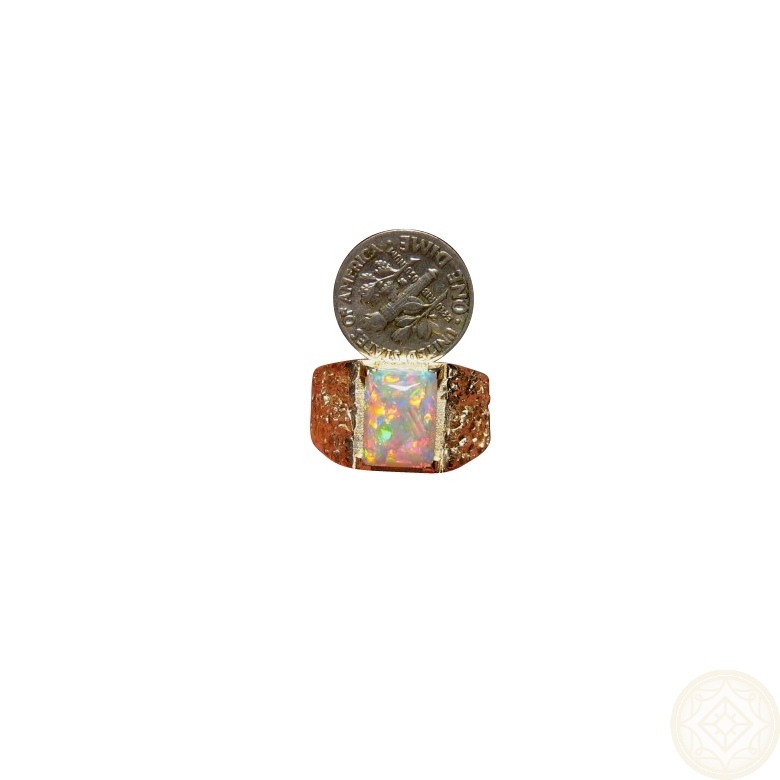 This Opal ring for men is sure to be noticed on the hand. A 14k Gold ring that is substantial in weight at 15 grams and has a wide textured band is prong set with a rectangle / emerald cut Crystal Opal. As this Opal ring has been sold, a similar ring can be Made to Order and any aspect of the design can be changed. 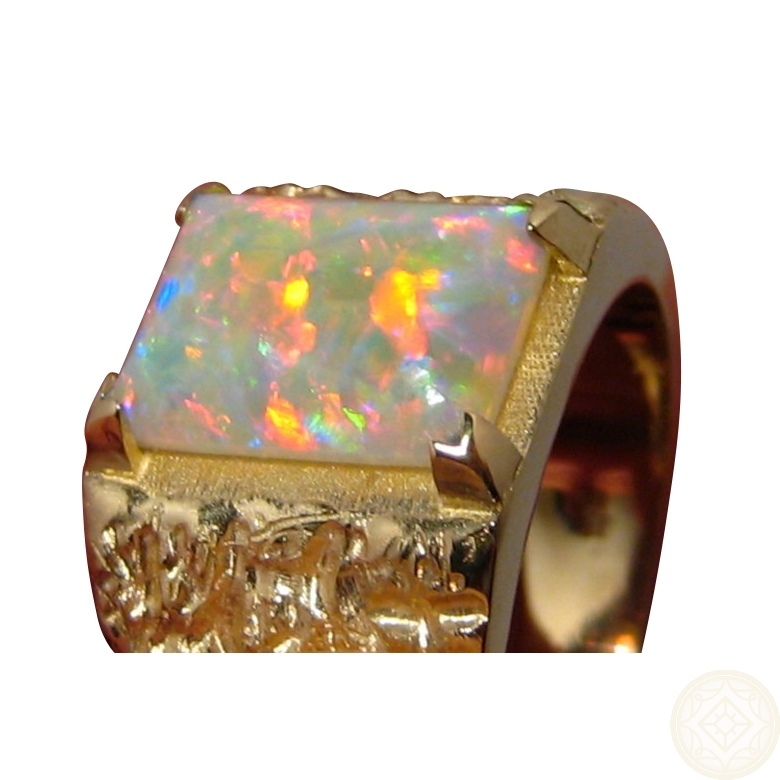 You can also choose an unset Opal from the large selection of stones available with the ring crafted to fit the Opal. The style of ring can also be changed to smooth or hammered or in a way you prefer. Simply contact through this product with your inquiry.